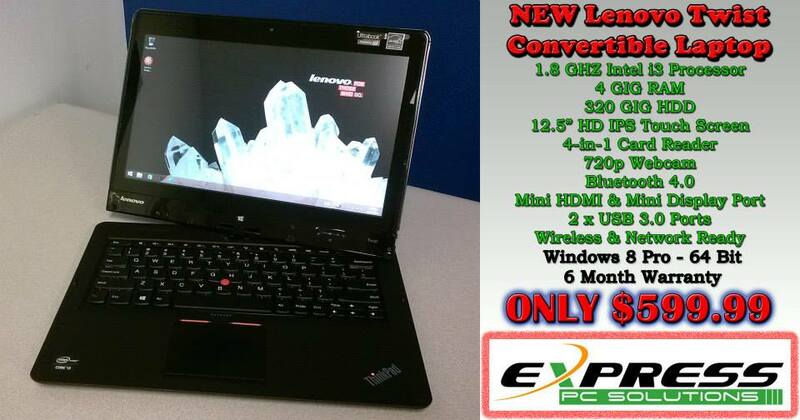 Any new items for sale, such as used laptops, that you want featured on the front page. 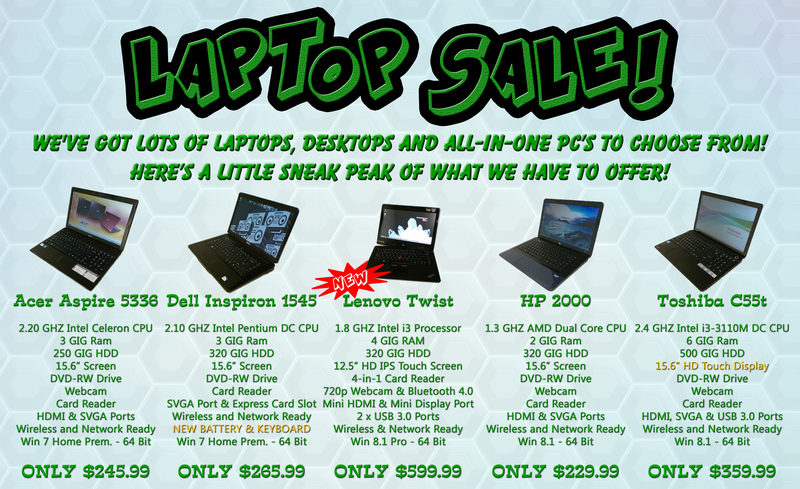 Check Out Our New & Refurbished Laptops, Desktops & Accessories! 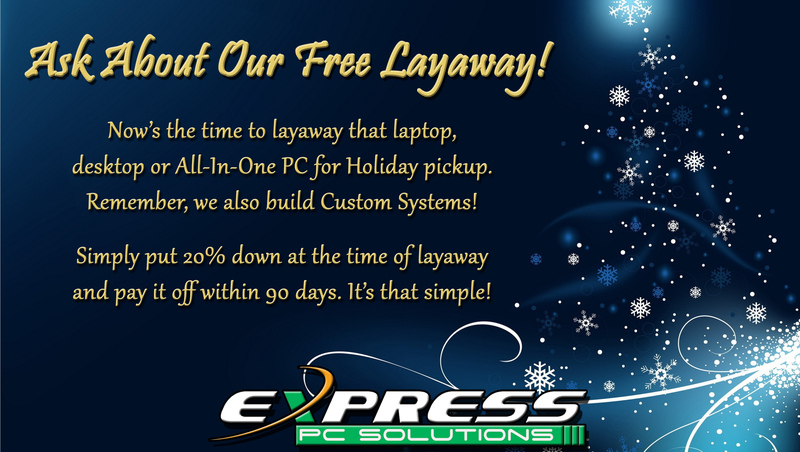 The Holidays are just around the corner, come layaway that computer for your special someone today!